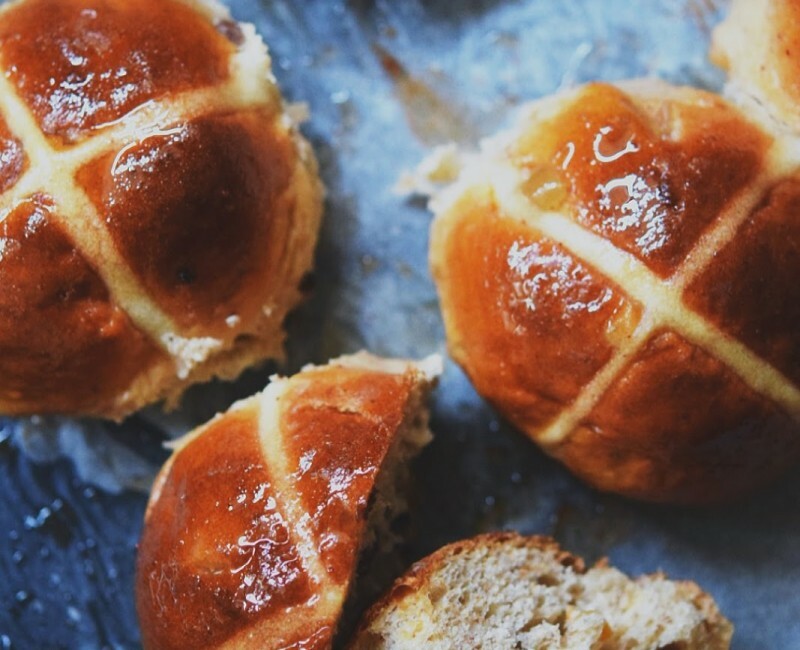 Hot cross buns are a classic Easter treat in many Christian countries , traditionally baked on Good Friday, but you can find them all year long in every British supermarket. 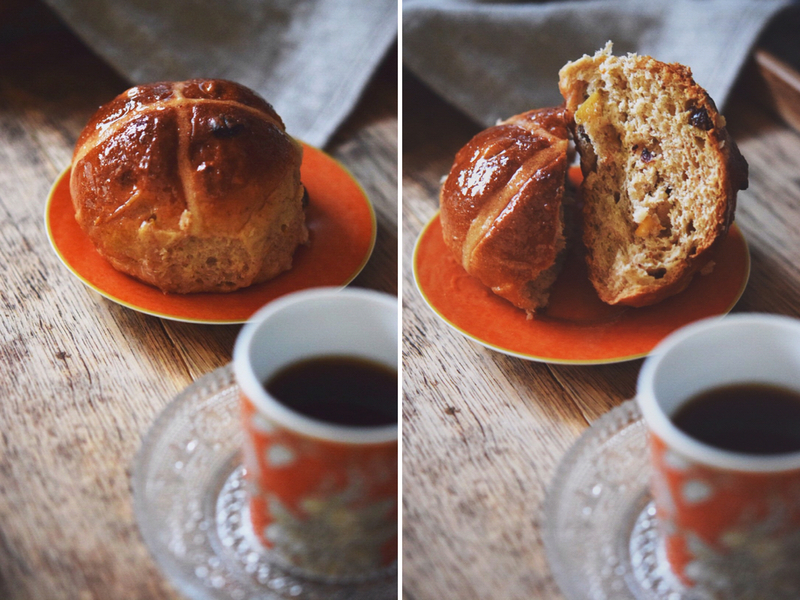 These delicious, slightly sweet buns can be enjoyed really at any time of the year. Packed with flavor, plenty of dried fruits, candied orange peel and fragrant spices. 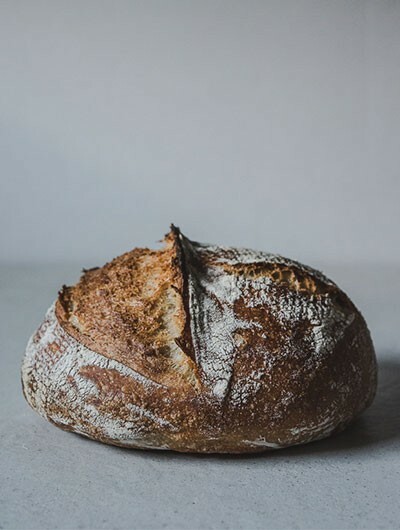 The addition of apples to the dough boosts the taste and gives lovely, moist texture, and an addition of candied and dried apple adds new twist to an old classic flavor. 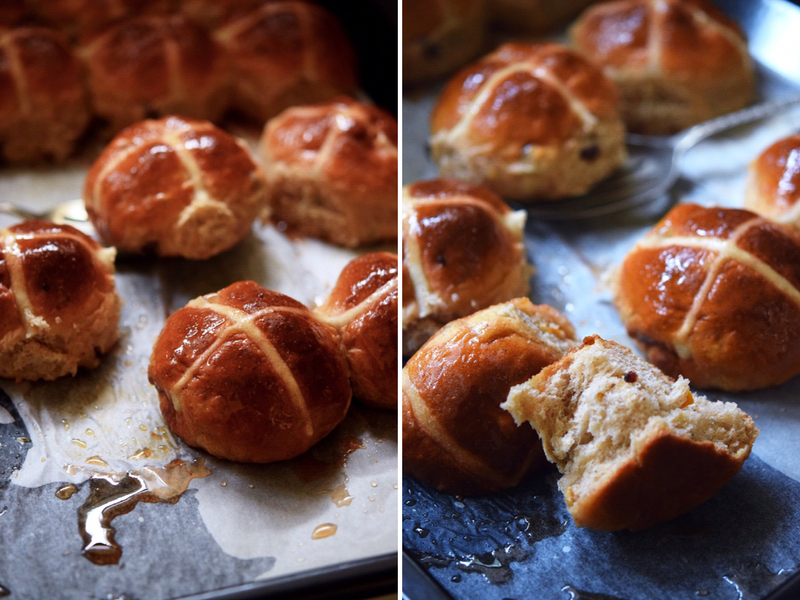 These buns are best served warm on the day they are baked, but they are also delicious several days later toasted and serve with shaving of butter (in my case loads of butter). Read the recipe through before you start as you will have to cook the apples before. In a medium saucepan combine the sugar, water, and the lemon juice. Stir over medium heat until sugar dissolves. Add the cinnamon stick and apple. 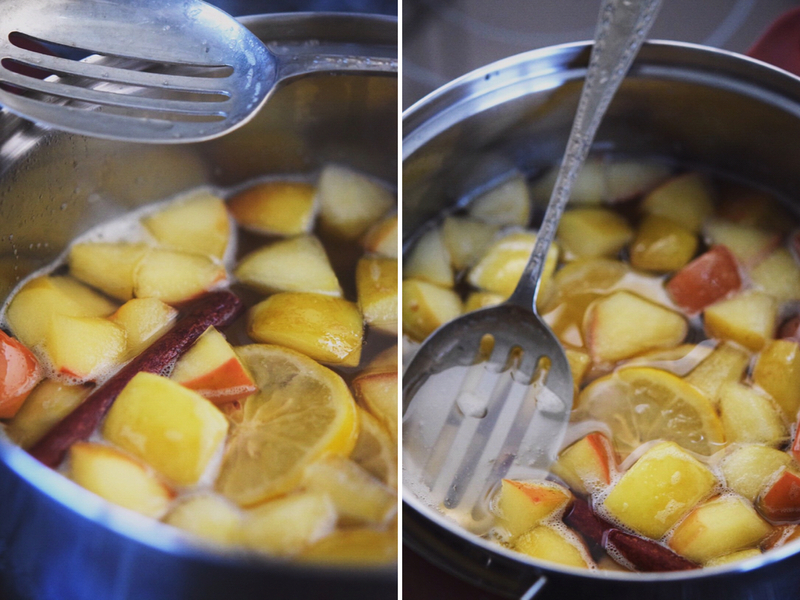 Bring to the simmer, lover the heat to medium and cook for about 25 minutes, until the apple looks transparent. Strain, reserving fruit and syrup separately. Set the fruit aside to cool slightly. 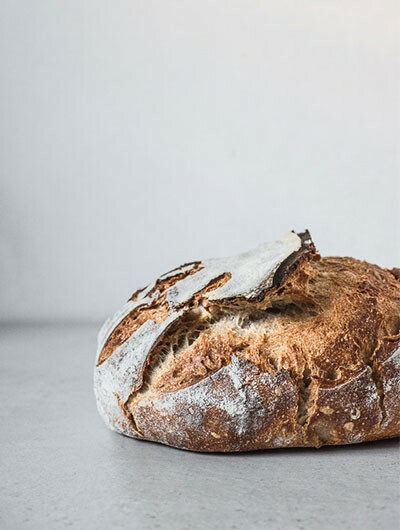 In a bowl of a stand mixer fitted with hook attachment combine the flour, raisins, dried and candied apples, candied orange, yeast, ground cinnamon, allspice, orange and lemon peel, sugar, salt and the reserved cooked apple. In a separate bowl mix together the lukewarm milk, butter and the egg. Add the milk mixture to the mixer bowl and stir with a wooden spoon to form a soft dough. Turn on the mixer to medium low speed and kneed to dough until smooth and elastic, about 10-15 minutes. 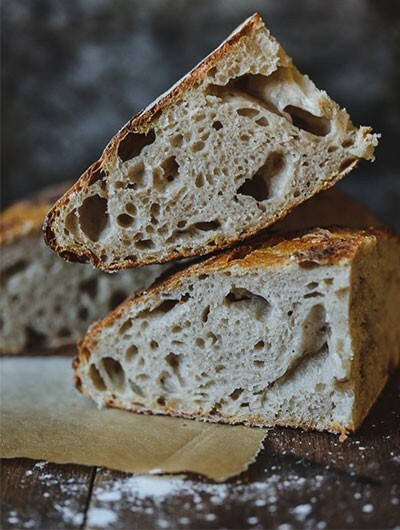 When you are done the dough will be still sticky, but don't attempt to add more flour. Place the dough in a lightly buttered bowl, cover with a kitchen towel and stand in a warm place until doubled in size. That will take 1-2 hours, depending on how warm your kitchen is. After the dough had risen, knock it down and divide into 20 equal pieces. Shape each piece into a ball and place on a large oven tray lined with baking paper, leaving 1cm between each ball. Cover with a kitchen towel and stand in a warm place until doubled in size. 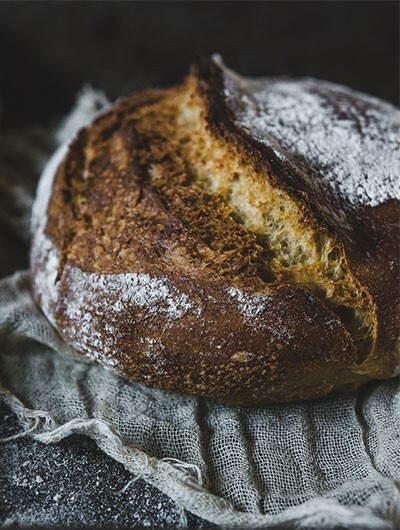 In a small bowl combine the flour and cold water, and stir into a smooth paste. 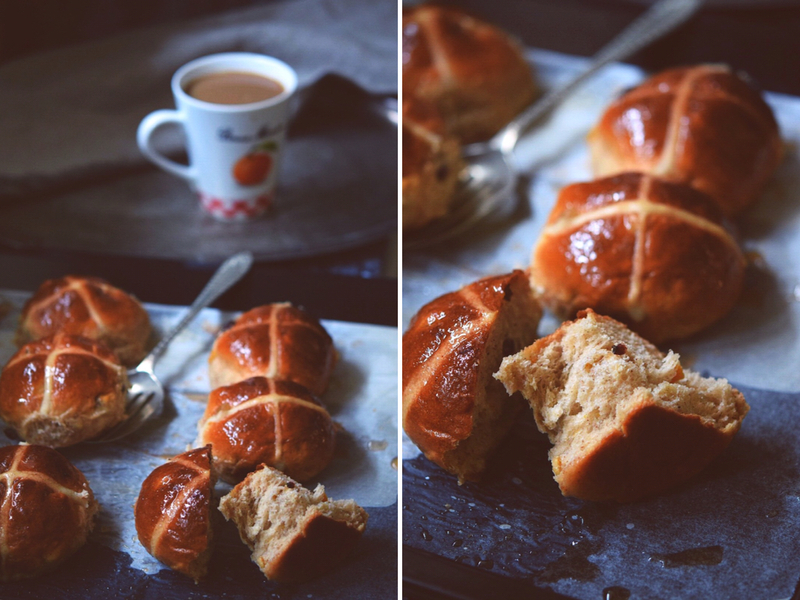 Spoon into a piping bag fitted with a fine nozzle and pipe cross shape on top of each bun. 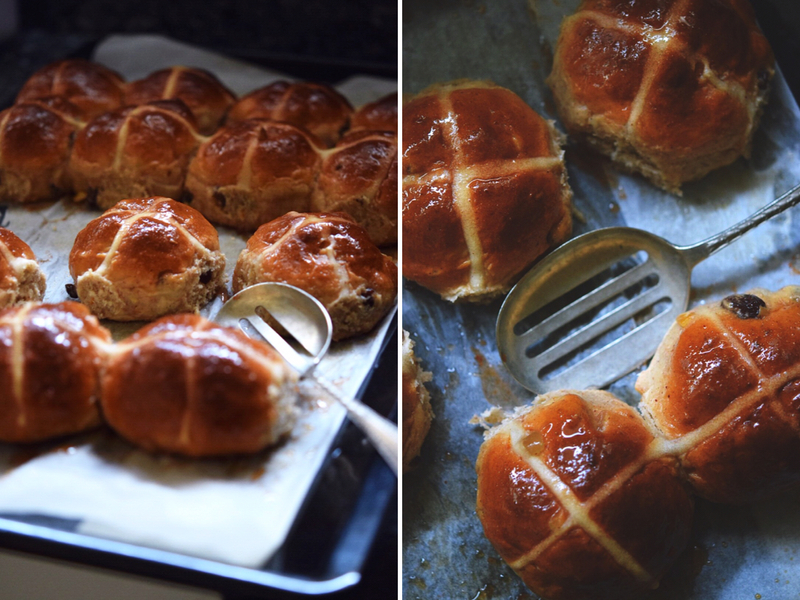 Bake for 10 minutes, reduce oven temperature to 200C and bake for further 10 minutes, until buns are golden brown. While the buns are baking make the glaze. In a small saucepan combine the reserved syrup and the cinnamon. Stir over medium heat until well combined and syrupy. Generously brush over hot buns, transfer to a wire rack to cool. Serve or store in airtight container for up to 3-5 days.